← Perhaps the Pope Prefers Pecorino, Provolone or Pepato? The average American eats about 100 pounds of potatoes annually, but the Ugandans have got them beat with an average annual consumption of 1,050 pounds per year. 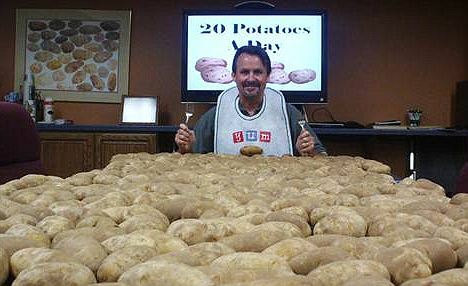 That’s a lot of spuds! 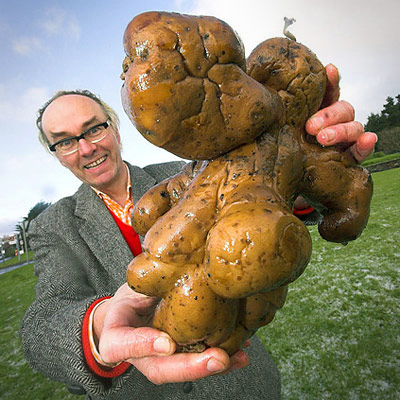 The Guinness Record for the largest of them was recorded in England, with a potato weighing in at just over 18 pounds. The ubiquitous potato, aka Solanum tuberosum, originated in the Andes Mountains of South America and were domesticated there. 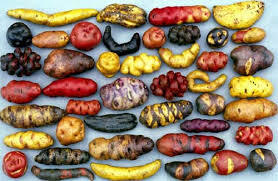 The Incas of Peru were among the first to cultivate the tuber somewhere around 8,000 to 5,000 B.C. Spanish Conquistadors arrived in Peru around 1536, liked the little spuds and carried a sack or two back to Europe, where they were cultivated by the Spanish, and later, the Irish. Approximately 100 countries around the world cultivate potatoes today. 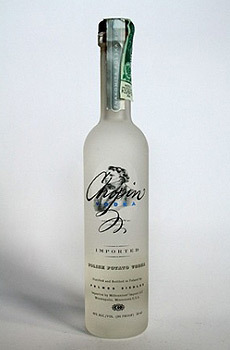 The spud is extremely versatile and can be cultivated from sea level to 15,000 feet. Currently, there are approximately 4,000 varieties of native potatoes, most in South America, and a number of wild ones as well, according to The International Potato Center. Small wonder it became so popular globally. More variations (Photo Credit: http://www.akrokorinthos. 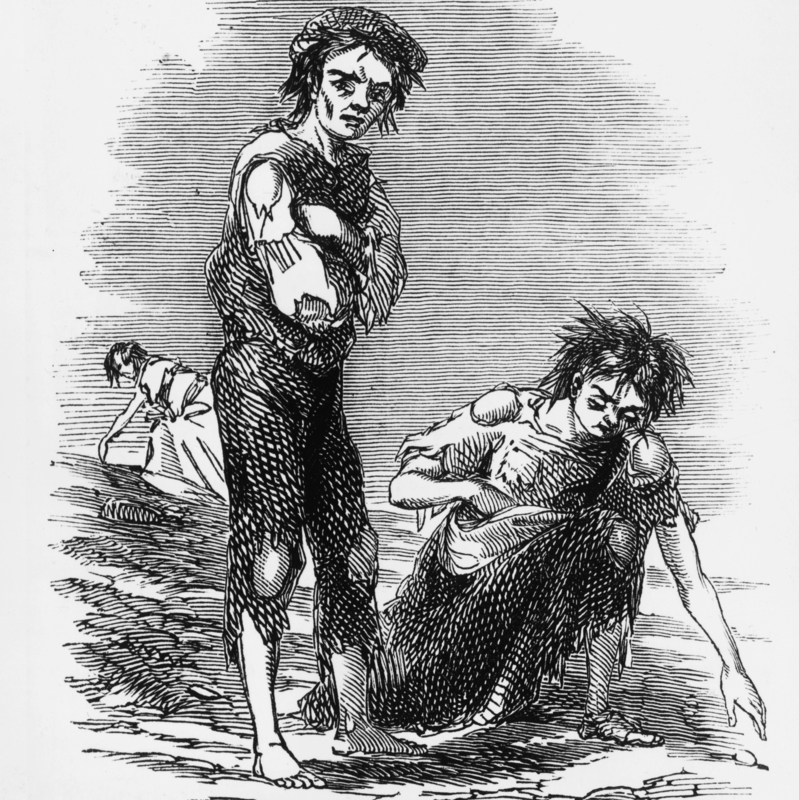 Unfortunately, in the 1840’s, a major outbreak of “potato blight” ravaged Europe, with Ireland being hit the hardest. 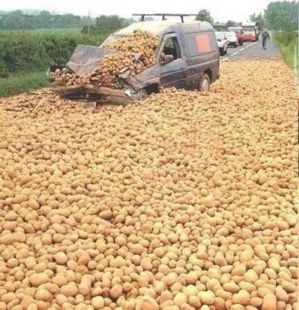 As the potato was the major source of sustenance, nearly a million perished. 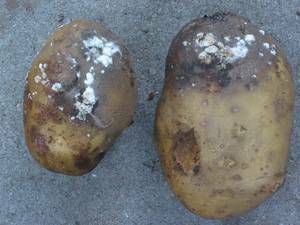 The 1840 potato blight destroyed crops and many people perished (Photo Credit: allkindsofhistory. One of the aftereffects was mass migrations of Europeans to Canada and the US. Potatoes, like tomatoes, have not always been looked on so favorably. The Russians called them “Devil’s Apples”. There are other nicknames for them including “spuds”, “taters” and, especially in Ireland, “Murphy’s, the notion being that the name “Murphy” in Ireland is as common as potatoes. During the Alaskan Klondike gold rush in 1897, potatoes were valued for their Vitamin C and were scarce as hens feathers. 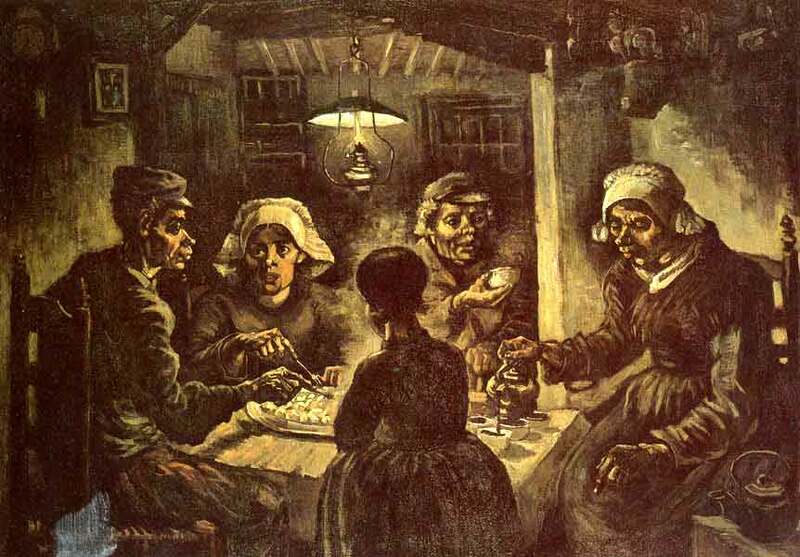 Gold, not so much, but you can’t eat gold, so potatoes became expensive commodities at that time. 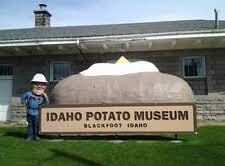 Probably where the “Yukon Gold” potato got it’s nom de plume. As a kid, I had the Mr. and Mrs. 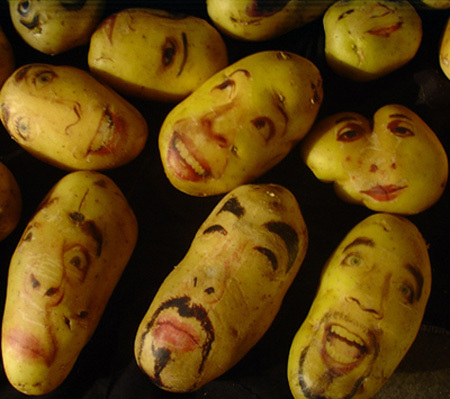 Potato Head toys, and my mother would give me a large russet potato to play with. Come dinner time, however, Mr. Potato Head was stripped of his features and his body went into the pot with all the others, but he had his moment of glory. 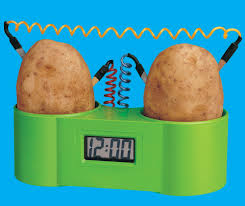 Having an inquiring mind, I was always fascinated by the science catalogues I occasionally saw and for my birthday one year, my Dad bought me a simple digital clock, run not on batteries (at least not the customary ones), but from two potatoes joined together with wires. I don’t know if they could generate enough current to charge a cell phone, but it sure was neat that they could run a clock! There are myriad expressions around potatoes: “small potatoes”, meaning “it’s no big deal” or “it’s insignificant”. Being “dropped like a hot potato” suggests that one quickly backs away or out of association with a person or a deal. “Hot potato” is also used to describe touchy or sensitive subjects, as in “the death penalty is a hot potato”. Then there is the “couch potato”, the lazy person, who can’t get up to change the TV channel or get his own beer. According to several sources, the Incas used potatoes for things other than consumption. 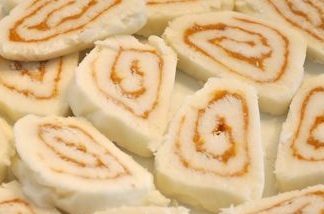 They were carried to prevent rheumatism and eaten with other foods to prevent indigestion. There were remedies for using potatoes to eliminate facial blemishes and treat sunburn. It was said that carrying a potato in your pocket eased the pain of a toothache and if you have a sore throat, try putting a slice of baked potato into a sock and tie it around your throat. I can’t attest to the efficacy of any of these, however. 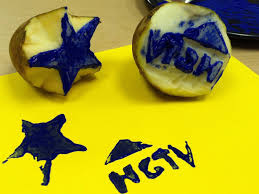 Oddly enough, the potato apparently wears two faces: there are stories of people on a nothing but potato diet, who lose weight and people, who can only lose weight by giving up potatoes. In 2010, Chris Voigt ate nothing but potatoes for two months: boiled, steamed, baked, mashed, fried, and adding only a little salt, pepper and herbs. He claims to have lost 21 pounds in that time and said that his cholesterol levels dropped and his blood sugar levels were reduced. A bonus was that a diet of nothing but potatoes saves $$$ and he ate relatively cheaply for those two months. Now, the fact that Mr. Voigt was the head of the Washington State Potato Commission shouldn’t cloud the facts of the diet test, should it? 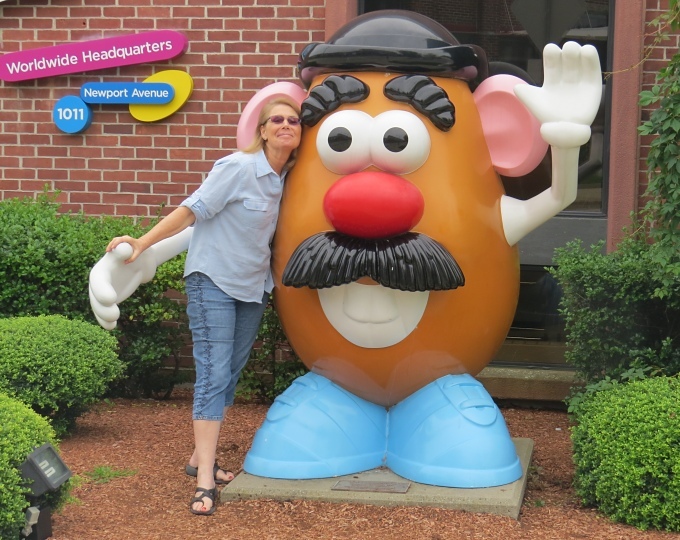 Conversely, in England, Trisha Corbett was so addicted to potatoes, that, at 26 years of age, her weight had risen to 375 pounds (most of it potatoes). After ditching all manner of potatoes: with butter, fries, roasted potatoes, baked potatoes and the like, within 18 months, she had lost 186 pounds. She had a little help, other than nixing potatoes, as she had joined Weight Watchers and began exercising. Trisha claims that she is much happier now after the weight loss and will “….never go back to being a 27 stone spud” (375 pounds). One of my numerous cookbooks on potatoes is “300 Best Potato Recipes” by Kathleen Sloan-McIntosh. In addition to lots of great recipes, the author provides a small glossary of the more commonly grown potatoes and the list is pretty impressive. I have to admit that I had heard of only a handful of them. Below are some spuds for thought with their area of origin! Floury potatoes range from “AC Dubuc” (Canada) to “White Rose” (USA) and Waxy potatoes run from “Abeille (Canada) to “Viking” (USA). Then, there are “specialty potatoes”, which run from “AC Blue Pride” (Canada) to “True Blue” (Canada). There are just too many to list! Grab a copy of “300 Best Potato Recipes”, which, in my opinion, has the best list of the more popular/common potatoes available, plus great recipes from Appetizers to Desserts. “Aartappel” is the word for potato in Afrikaans: “Izambane” is the Zulu equivalent. From A to Z, the spud is here to stay! This entry was posted in Comfort Food, Cookbooks, Cooking, Cooking and Social History, Eating, Food Trends, Guinness World Records, Uncategorized and tagged cookbooks, Cooking, food history, Guinness World Record, potato blight, potatoes, social history, South America, spuds, Sue Jimenez, time capsules. Bookmark the permalink. 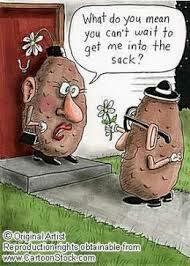 1 Response to Hey, Murphy….are you calling me a spud?